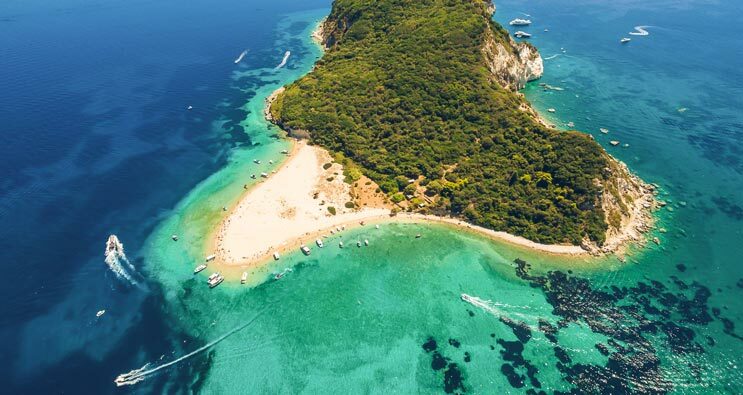 The Shipwreck of Zakynthos was named after the ship "Panagiotis" which was washed out in 1980 on the particular beach on the northern side of the island. The vestiges of the ship can be seen in the middle of the large sandy beach which has amazing turquoise and crystalline waters. 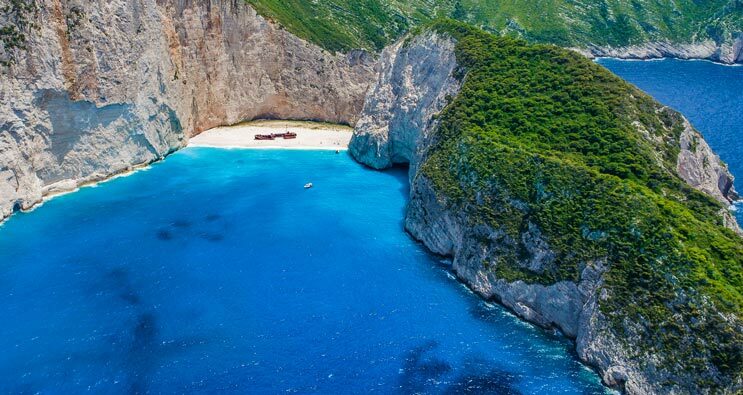 Shipwreck beach is one of the most photographed places in the world and a pole of attraction for hundreds of thousands of tourists every year. It is accessible only by the sea, while the view from above is unique. Excursions to the Shipwreck are carried out from almost all the ports of the island. 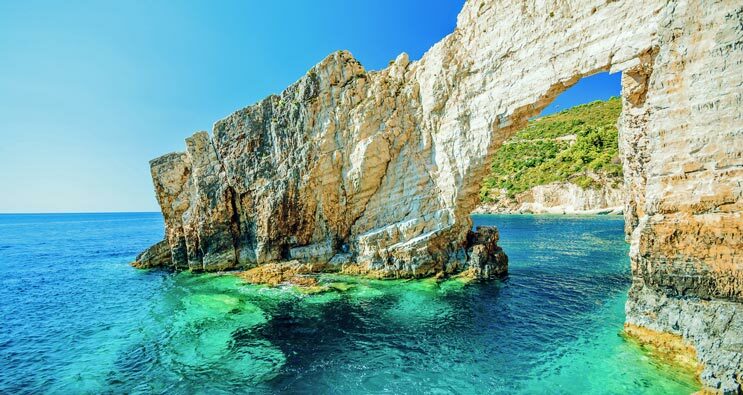 Typical geological formations at the northern tip of Zakynthos have formed the famous Blue Caves, one of the most prominent sights of the island. They are only visited by boat and are a pole of attraction for thousands of tourists every year. The distinctive element of the Blue Caves is that they reflect the vibrating and striking blue colour of the waters in them, which at the same time capture and reflect the shine of the limpid sky reflected on their surface. This succession of bright reflection creates an almost magical atmosphere inside the caves. 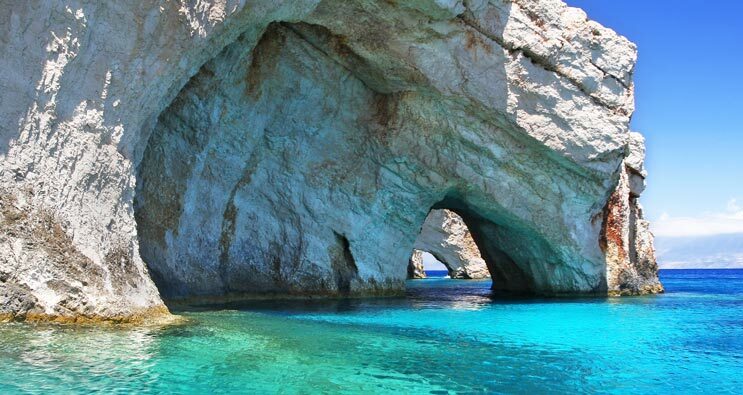 The caves of Keri are located on the southwest side of Zakynthos, near the cape of Marathia, The reflection of light and the clearness of the water create a wonderful result. The diversity in their size allows the vitors to visit some of them by boat in the inside but also to swim. Different species of animals and fish live in these caves.